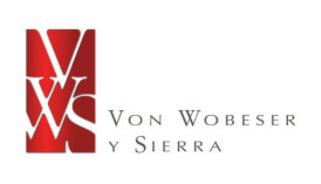 Offering excellence and integrity, Von Wobeser y Sierra SC was founded in 1986 and is one of the foremost Mexican law firms that offers full-service legal solutions. The firm is composed of more than 30 different practice areas including specialised desks with a strong roster of international and national clients. The firm’s lawyers are renowned for their expertise in advising and fortifying leading companies in establishing and conducting day-to-day business dealings related to entering and expanding their operations in Mexico and internationally. Von Wobeser has been recognised on an international level by various institutions including Chambers Global, Chambers Latin America, Latin Lawyer 250, Global Arbitration Review (GAR 100), The Legal 500 and IFLR 1000 among others. Our team is made up of 12 partners and more than 50 lawyers that have comprehensive, up-to-date knowledge of legal reforms as well as current national and international events that affect the global business economy. Many of the firm’s clients are significant investors in Mexico and Latin America and are listed in prestigious publications such as: Fortune 50 and Fortune 500, as well as the Dow Jones, S&P 500, DAX, Nikkei and the Mexican Stock Exchange. They are composed of national and multinational companies, banks, government entities, financial institutions and organisations from the United States, Canada, Germany, the European Community, Asia and Mexico.